Gertrude L. Gabrych, age 99, of Winona, passed away on Monday, January 14, 2019, at St. Anne Extended Healthcare. She was born on March 16, 1919, in Winona, to Vincent and Josepha (Kukowski) Modrzejewski. She was united in marriage with Joseph Gabrych on October 9, 1937, at St. Stanislaus Kostka Church in Winona, and he preceded her in death on May 26, 2005. Gert was employed with the Winona Knitting Mills, prior to her retirement. 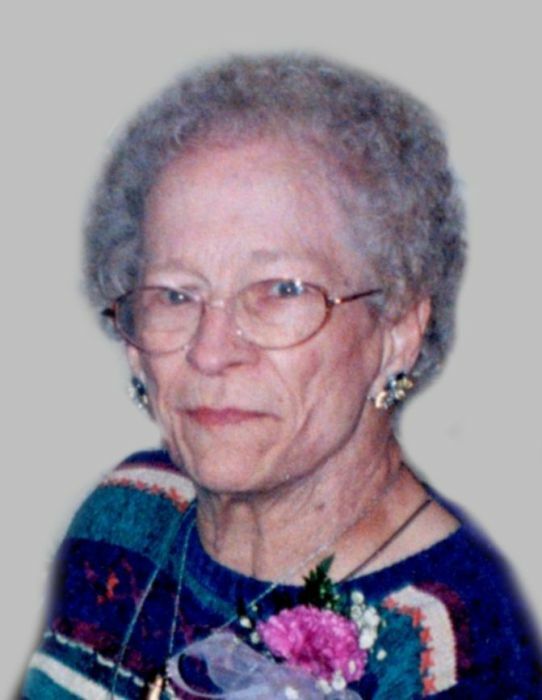 She was a member of the Basilica of St. Stanislaus Kostka, the Winona Athletic Club, and Westfield Golf Club where she golfed with the Tuesday league. She will be remembered for her enjoyment of bowling, cooking, sewing, knitting, crocheting, and as an avid card player. Her favorite role in life was that of being a wife, mother, and grandmother, and she will be deeply missed by all those who loved her. Gert is lovingly survived by her children: Rich (Mary) Gabrych; Roger Gabrych; Sharon Gabrych; Gene (Linda) Gabrych; and Kathy Gabrych; grandchildren: Kasha (Nate) Harris; Ande Gabrych; Shelley (Tim) Vondrashek; Jenni Rhoden; Ben Gabrych; Alan Koxlien; Sue Koxlien; Amanda Gabrych; and Travis Gabrych; two step-grandchildren: Jenna and Christy; 5 great-grandchildren; as well as nieces, nephews, other relatives and friends. She was preceded in death by her husband; parents; son: David; grandson: Ryan; daughter-in-law: Kathy Gabrych; and her ten brothers and sisters: Alfred Modrzejewski; Mark Modjeski; James Modjeski; Edmund Modrzejewski; Vincent Modrzejewski; Dorothy Ahearn; Sylvia Konkel; Josephine Young; Mildred Ferguson; and Marcella Langowski. Visitation will be held from 10 AM until the Mass of Christian Burial at 11 AM on Saturday, January 19, 2019, in the Chapel of Our Lady at St. Anne Extended Healthcare. The Reverend Robert P. Stamschror will officiate. Burial will be in St. Mary’s Cemetery. Memorials may be directed to the Basilica of St. Stanislaus Kostka or to St. Anne Extended Healthcare. Online condolences or memories may be left for Gert’s family at www.watkowski-mulyck.com.